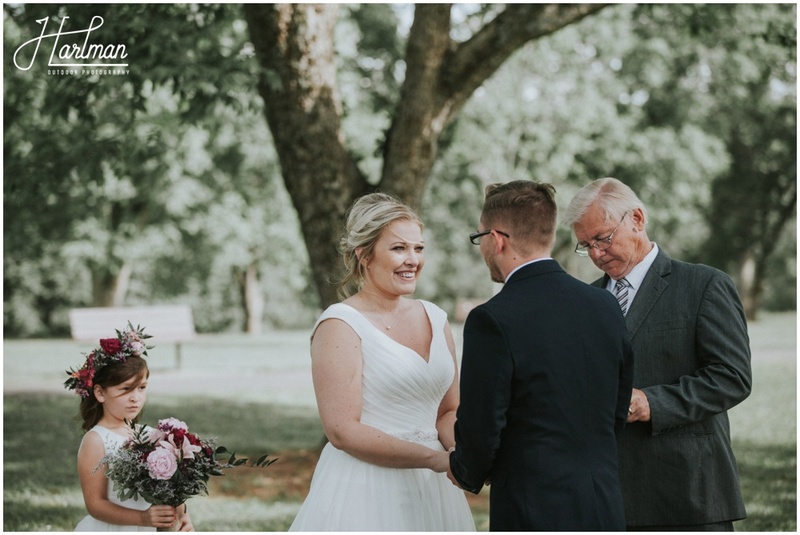 Josh and I are really big fans of intimate weddings like this. 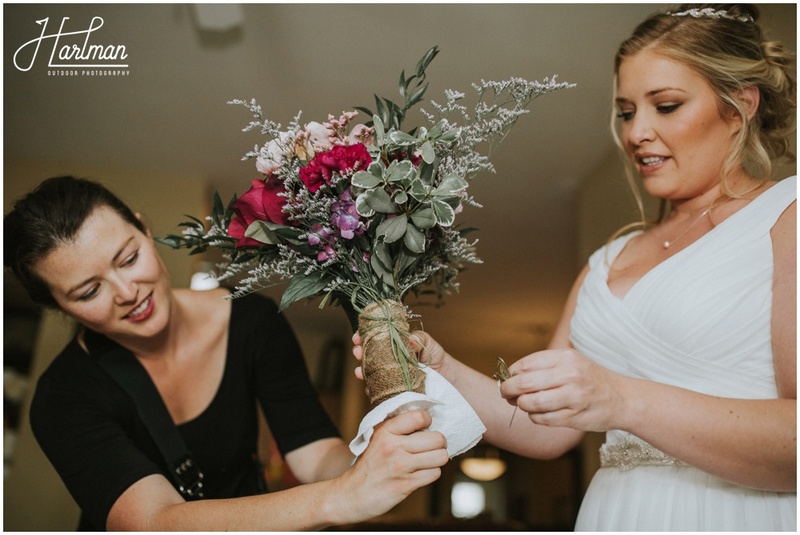 We had only fifteen people at our own wedding in Bermuda, so we know from first hand experience just how wonderful planning an event like this can be. 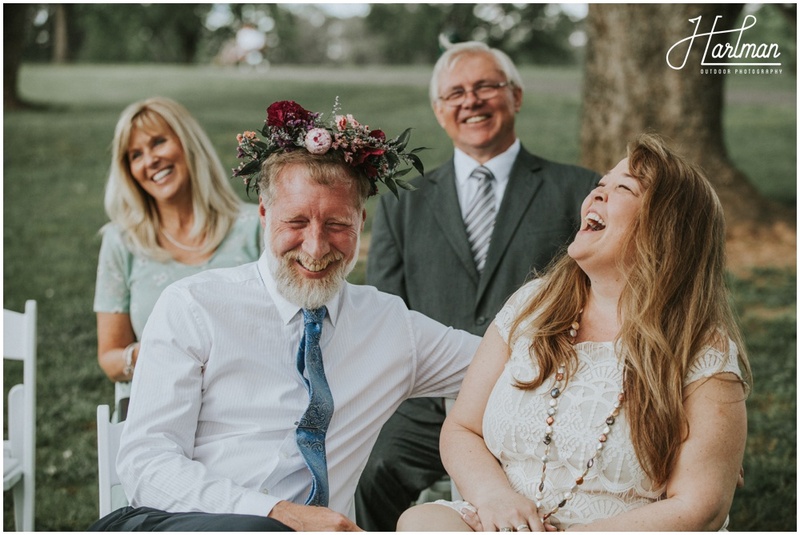 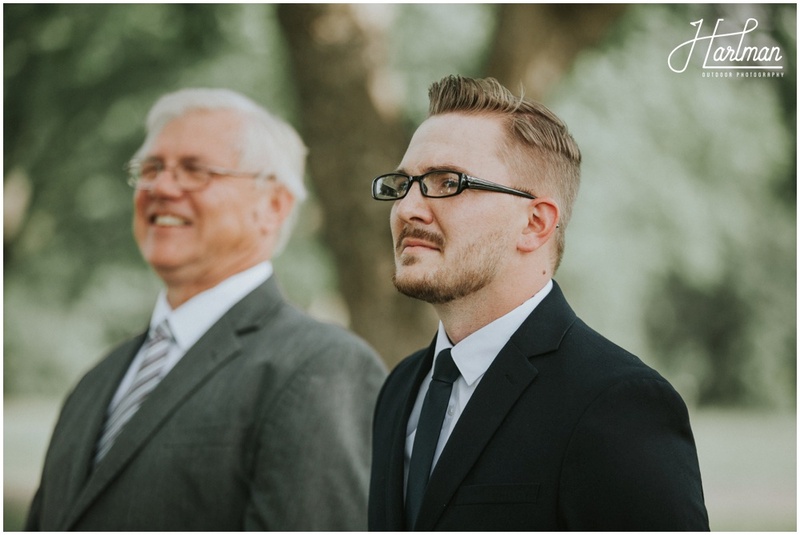 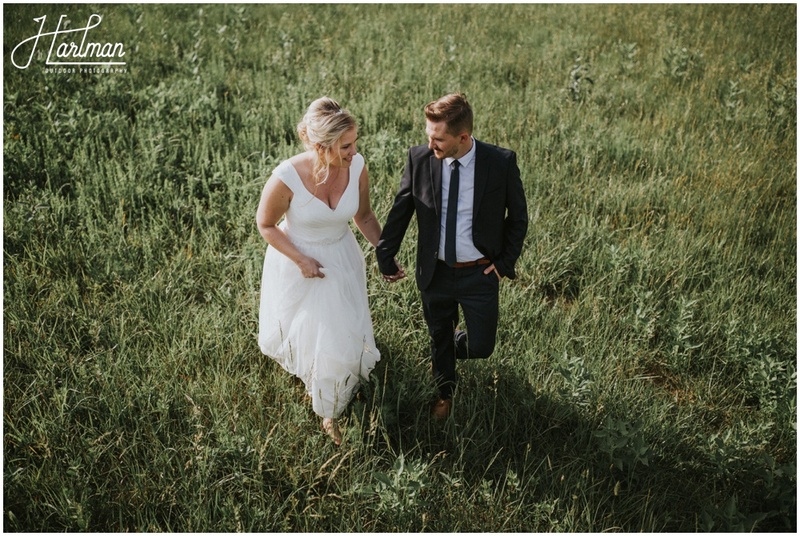 You get to enjoy every single guest invited, get extra time for portraits, can keep things flexible with a small crowd, and really just soak in the day enjoy it with your new spouse. 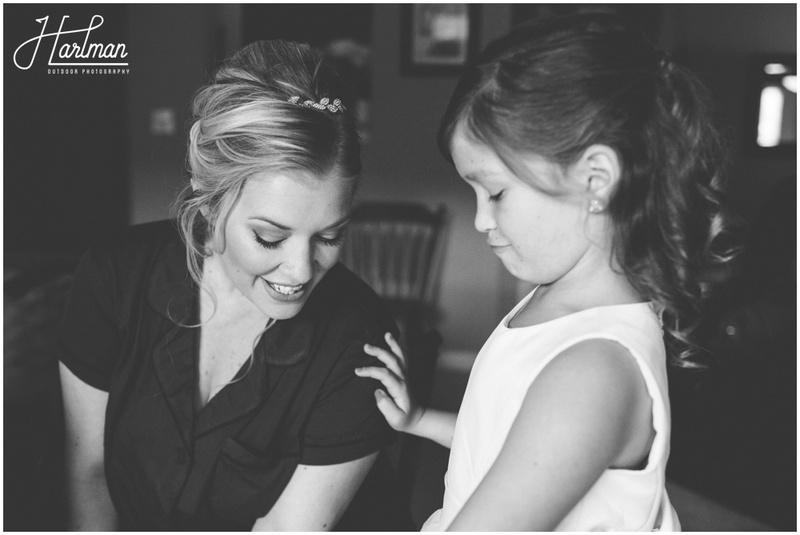 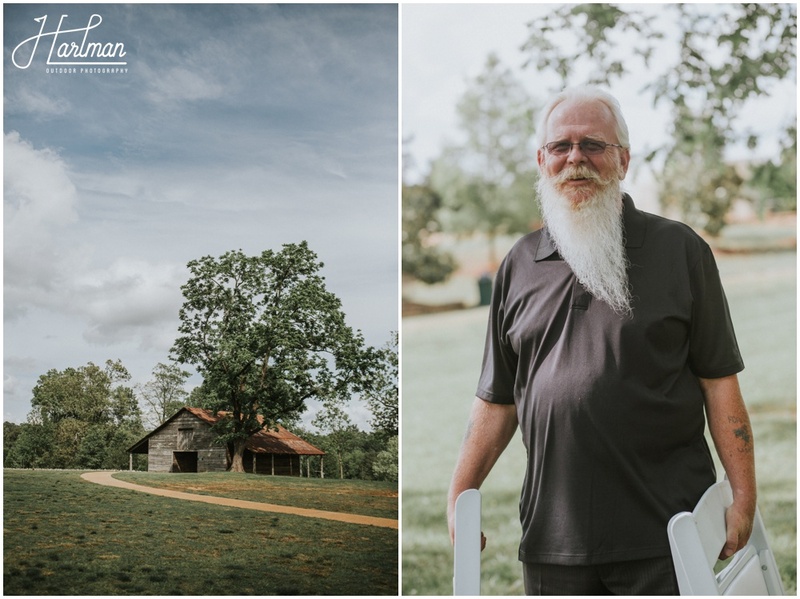 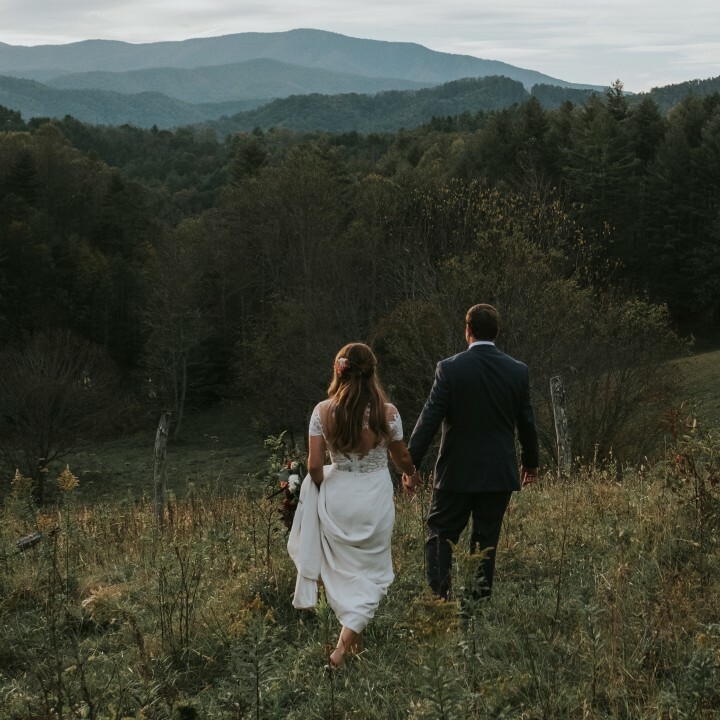 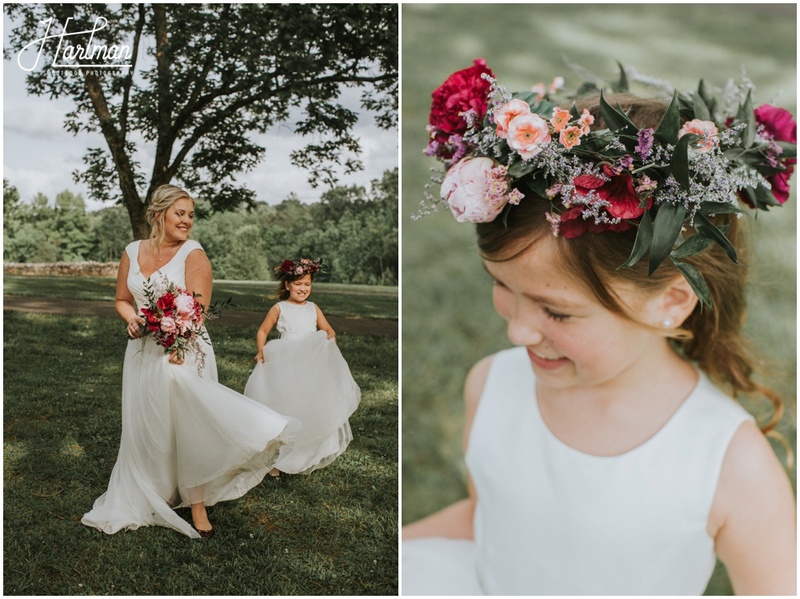 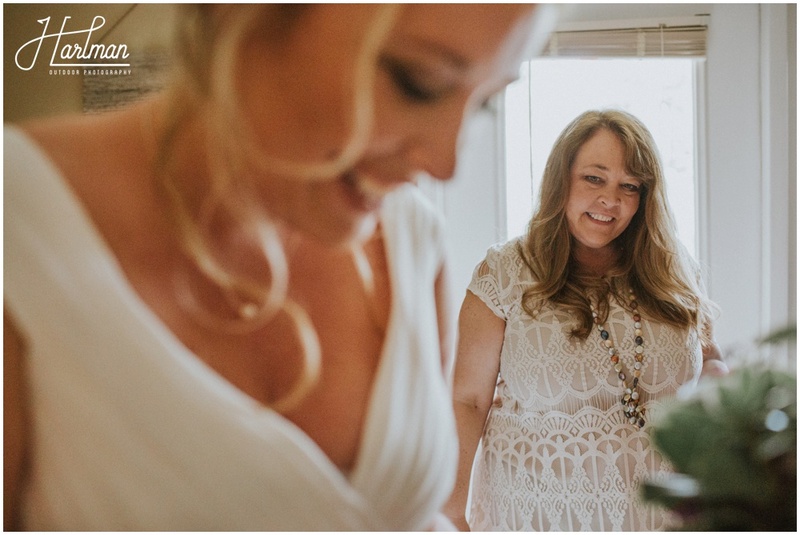 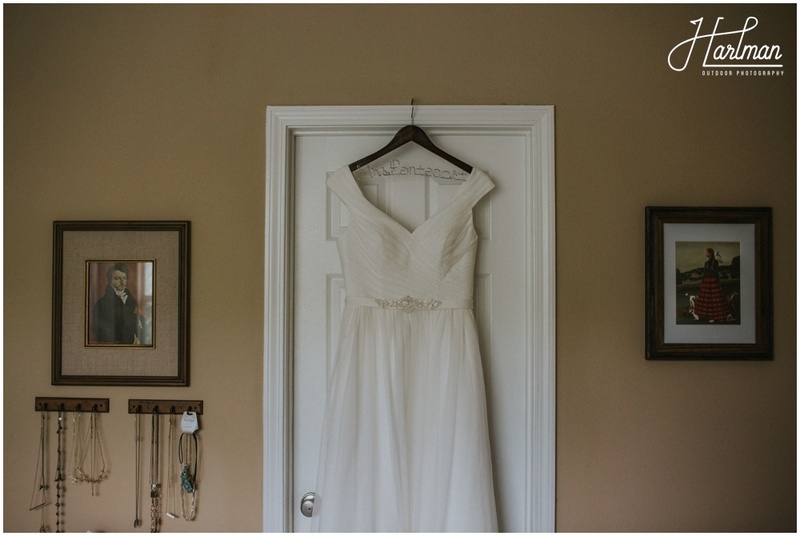 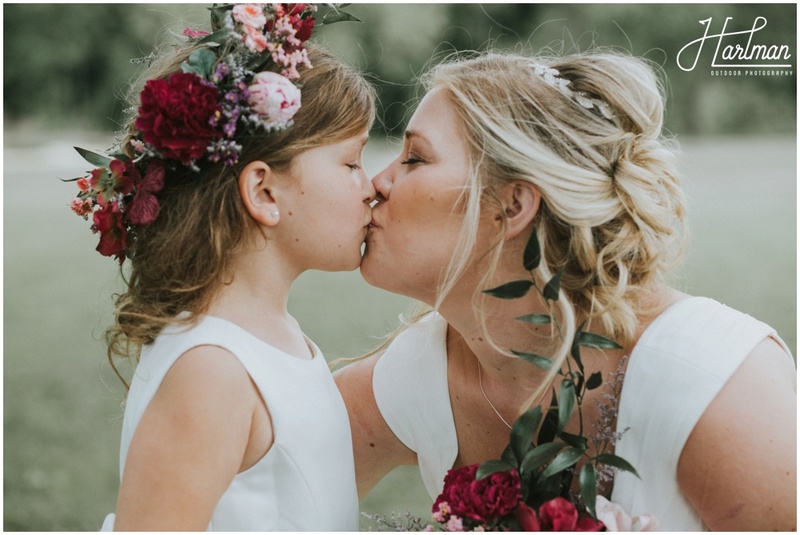 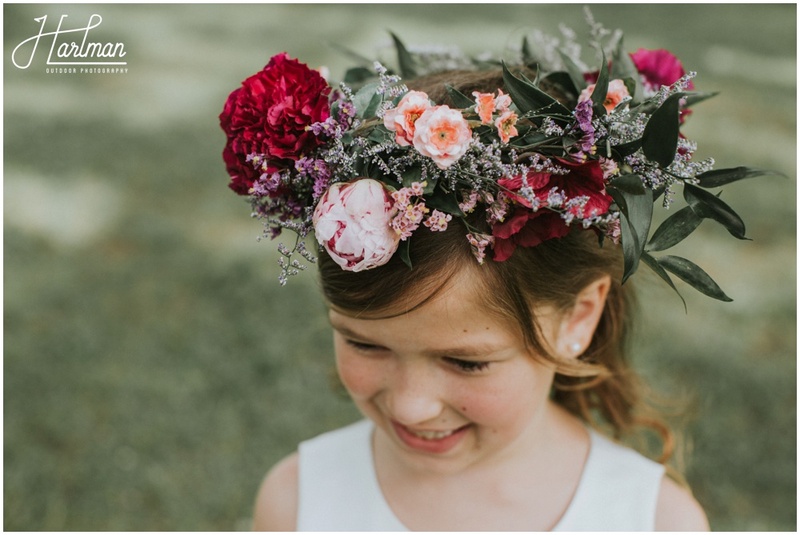 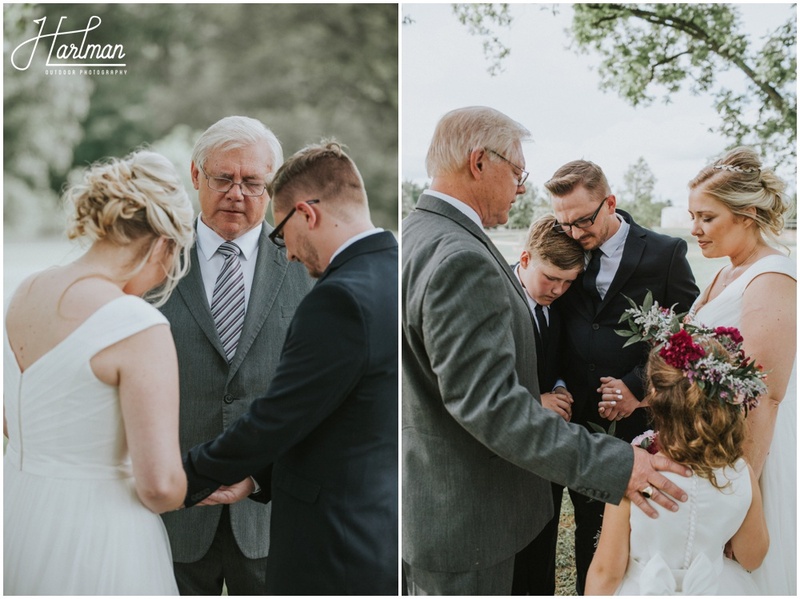 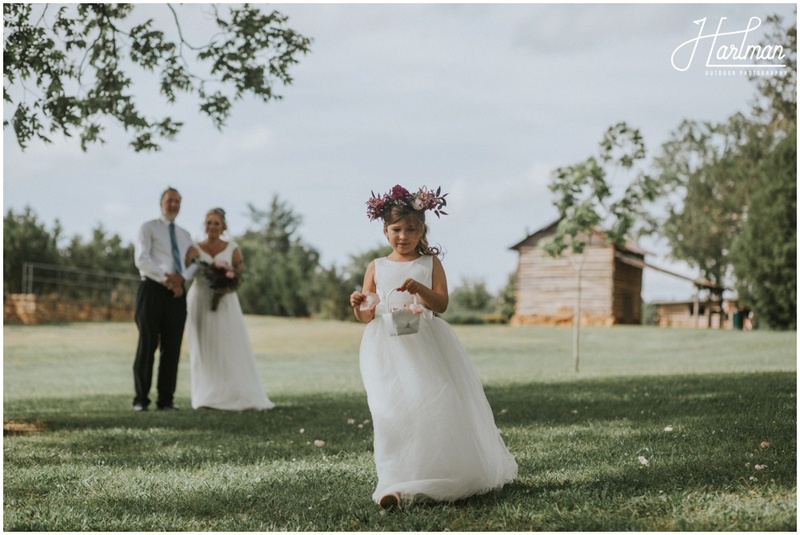 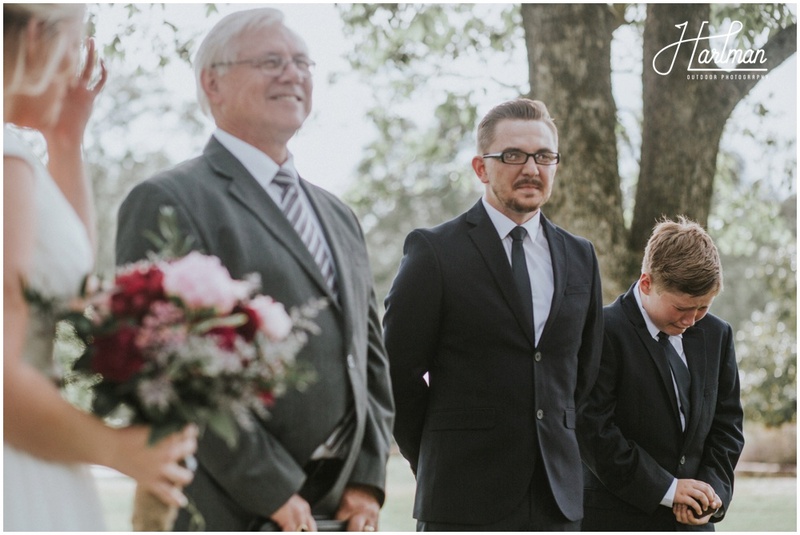 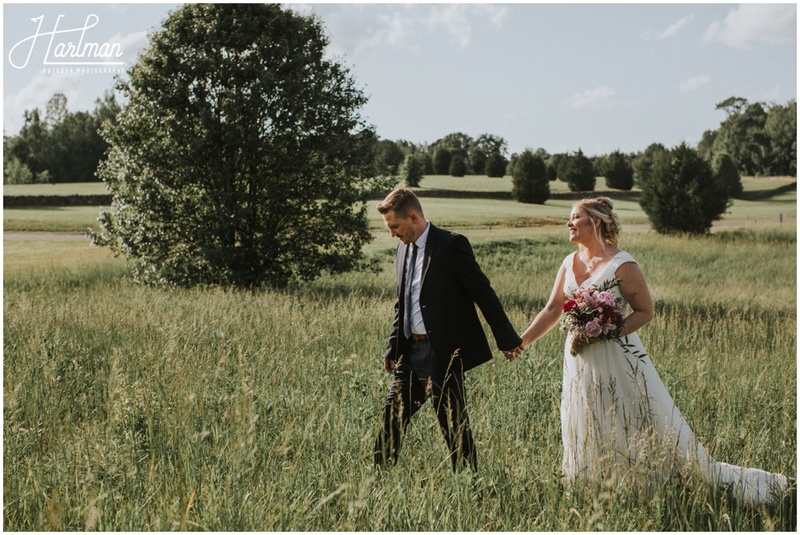 When Amber first contacted us about this very intimate wedding in rural North Carolina, we were thrilled. 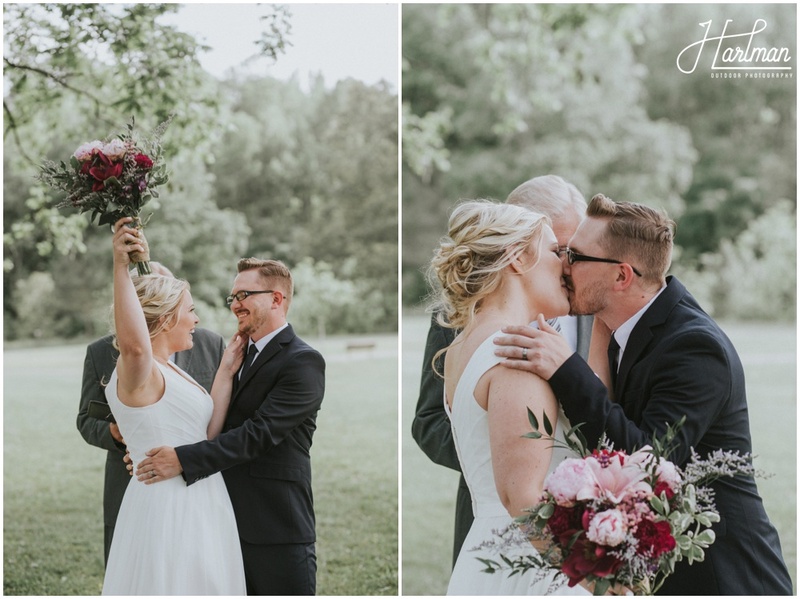 Amber and Johnnie were married on the most beautiful spring afternoon. 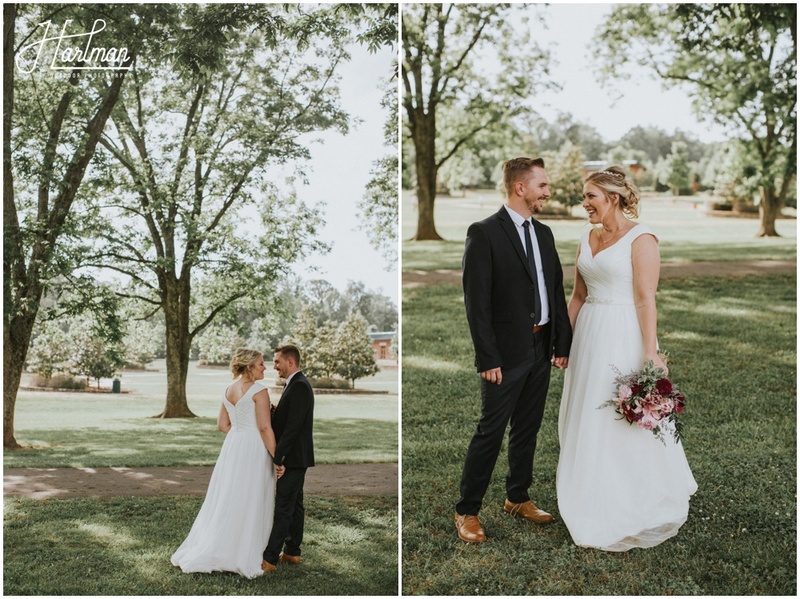 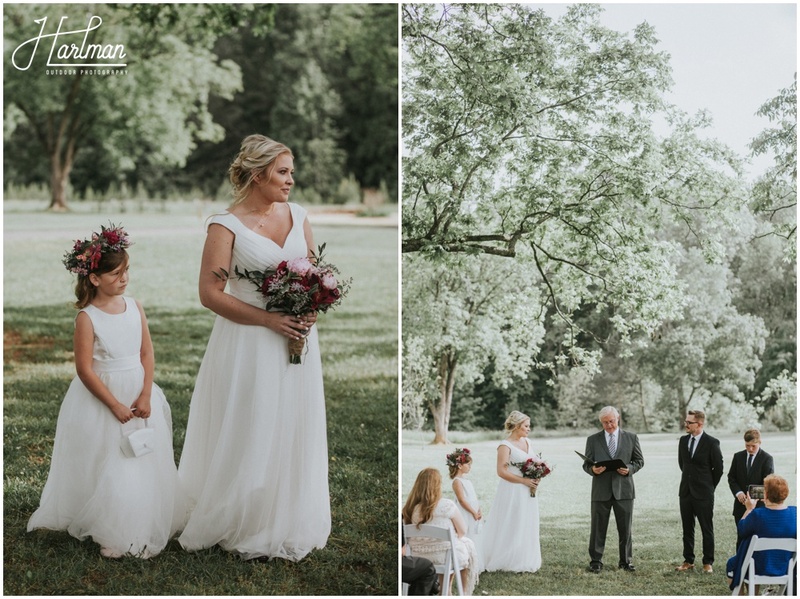 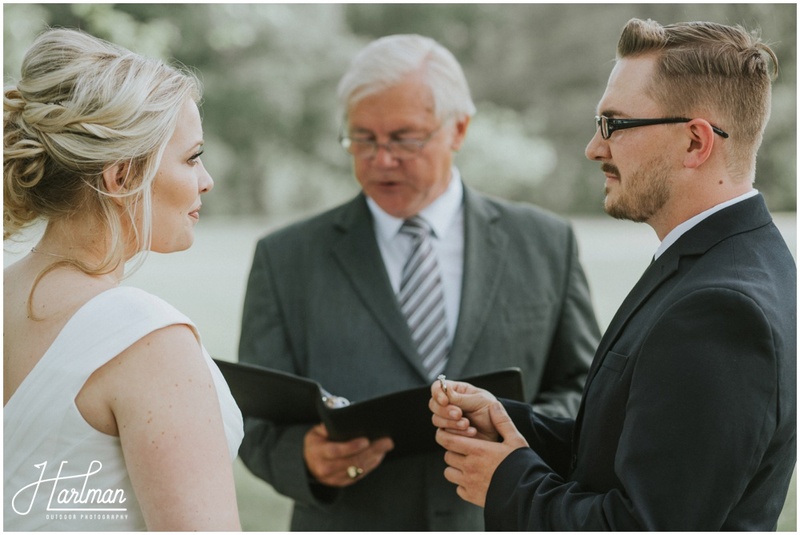 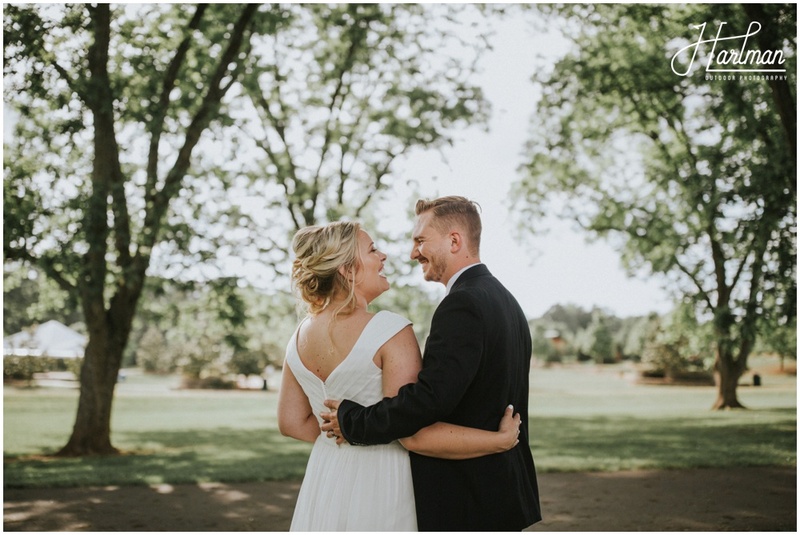 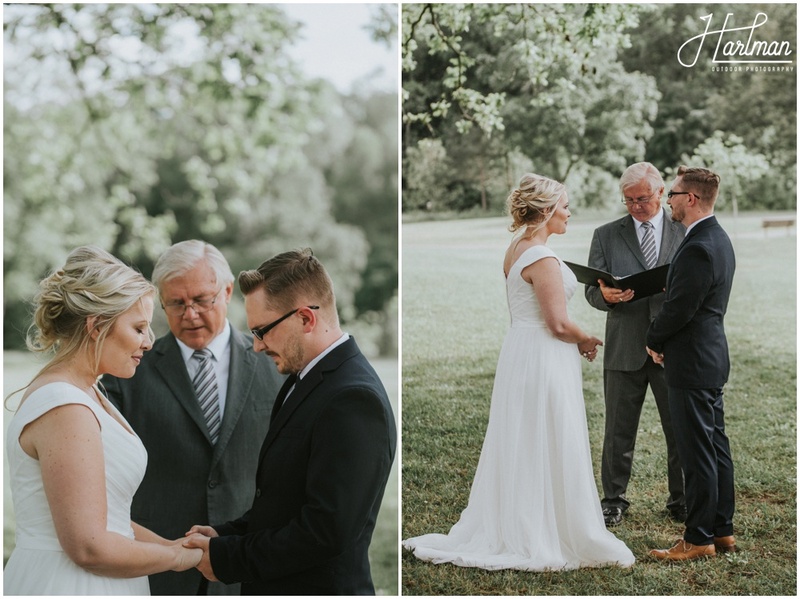 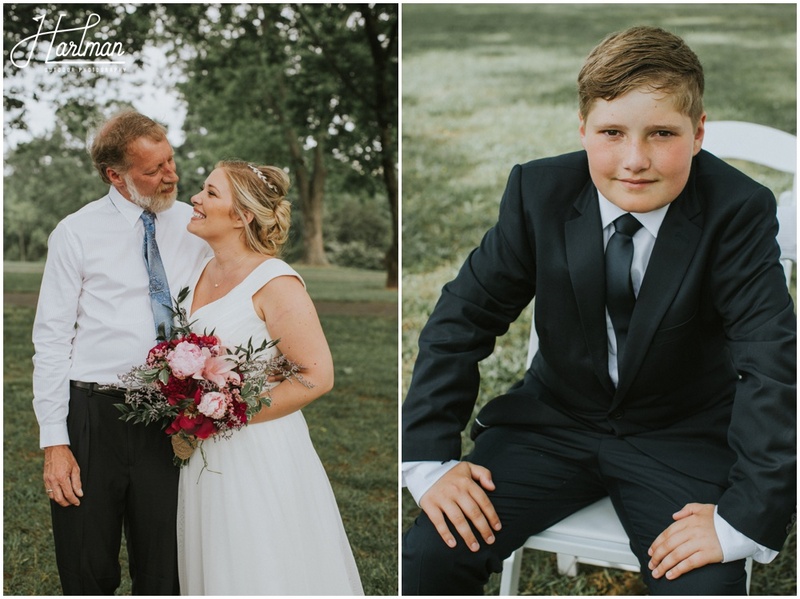 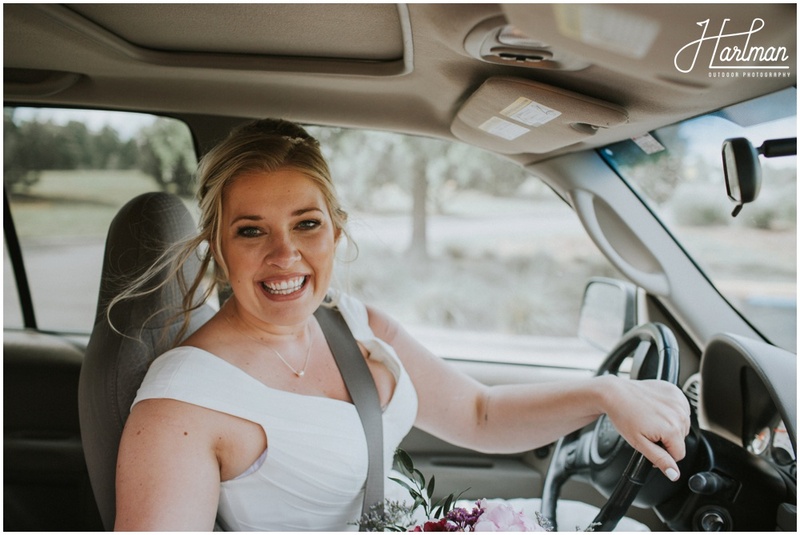 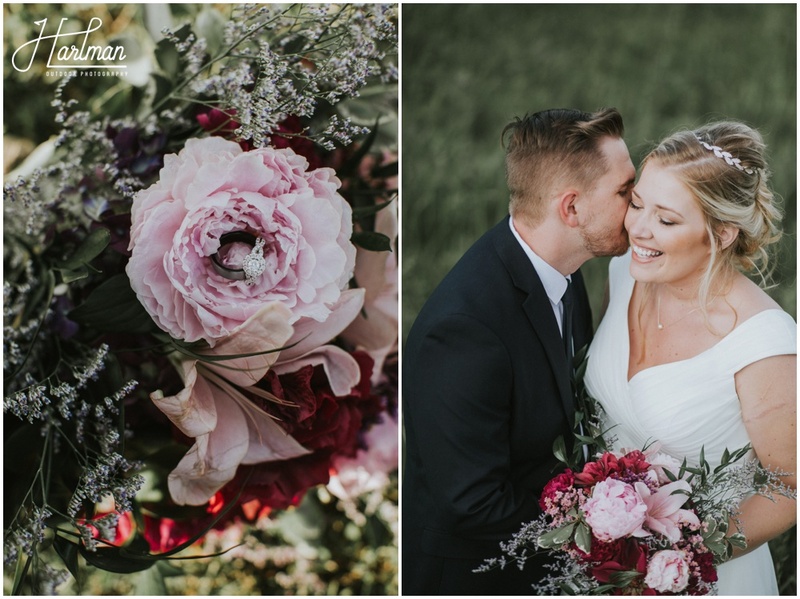 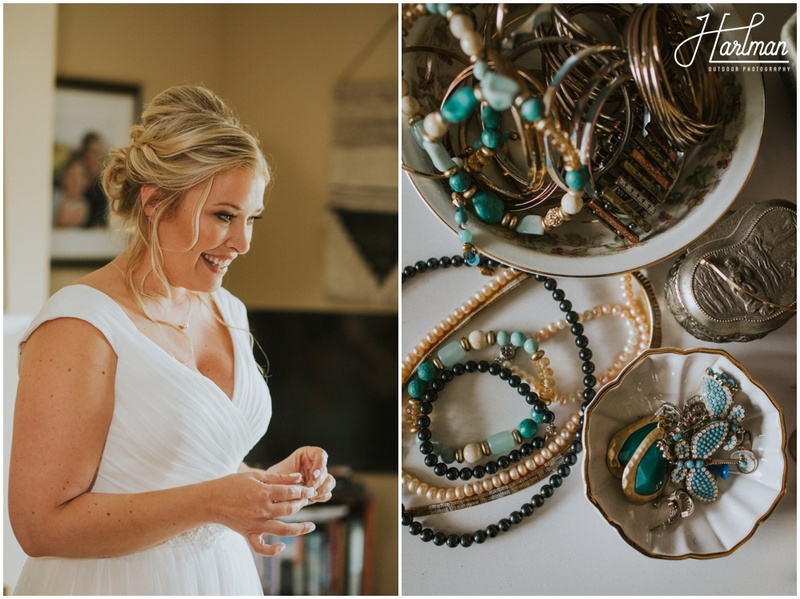 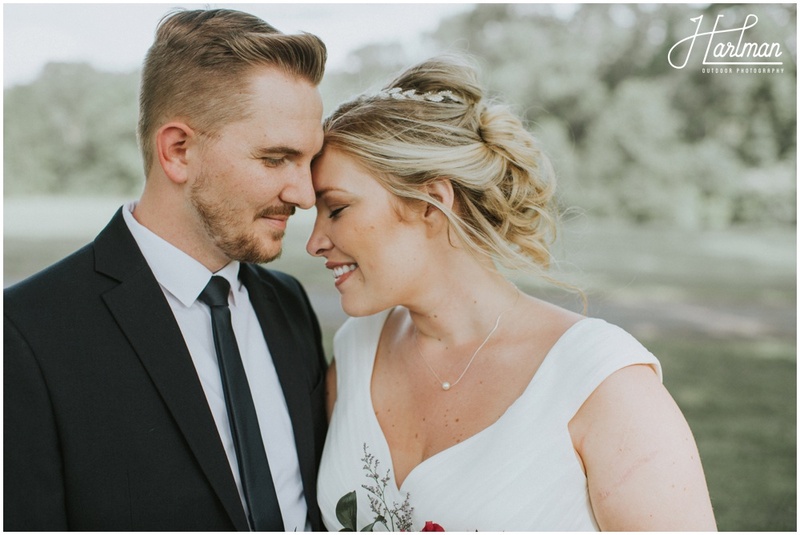 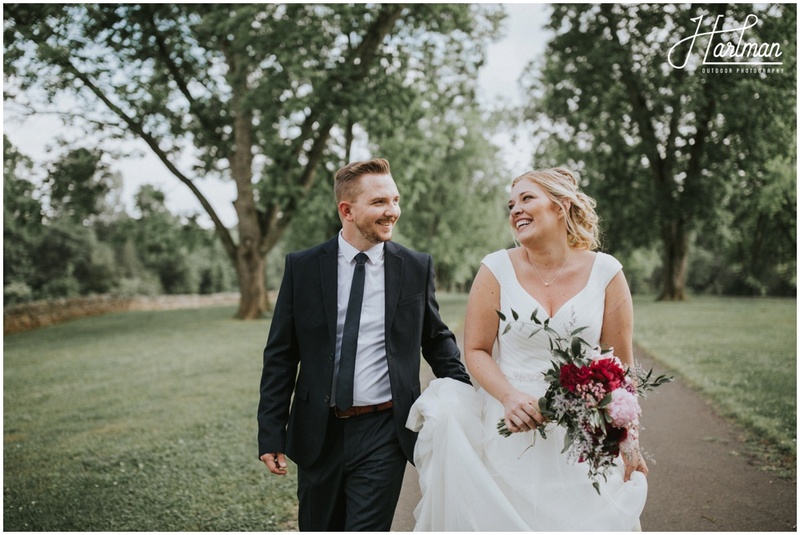 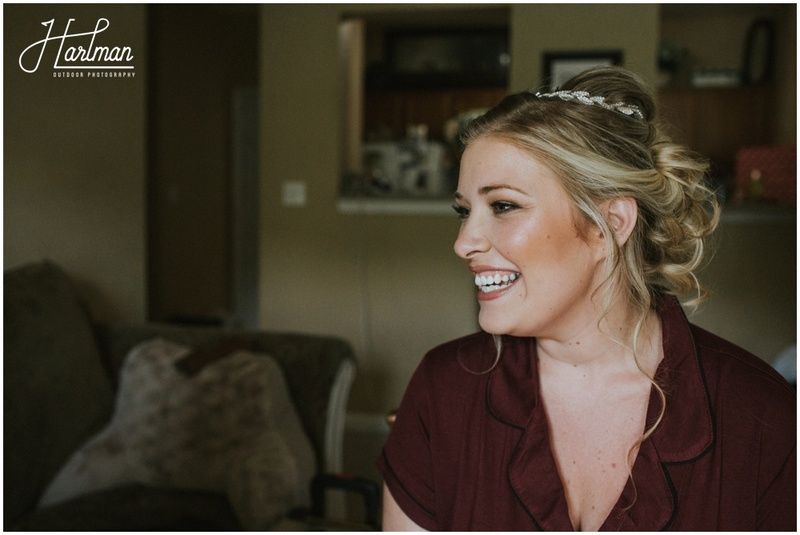 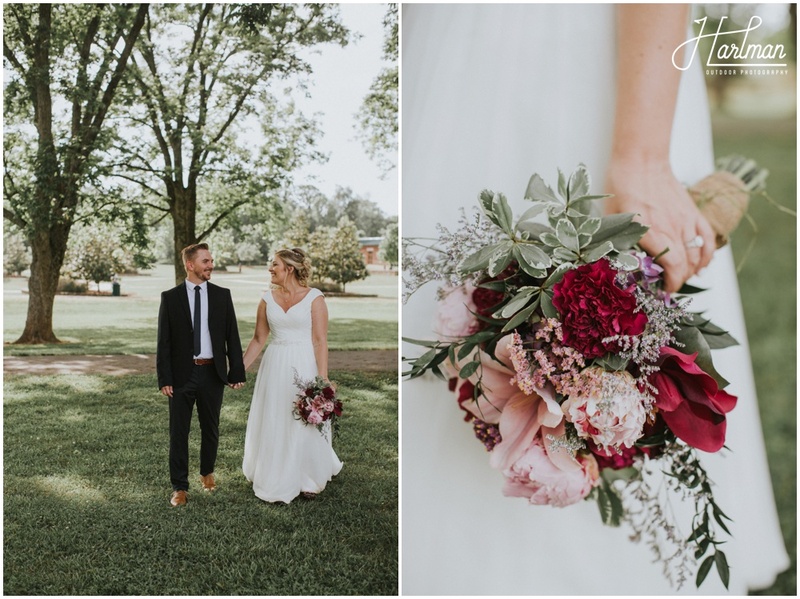 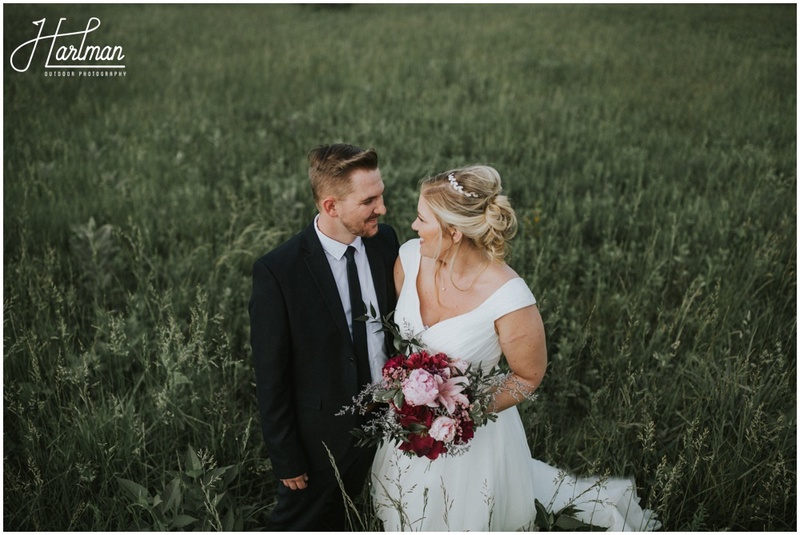 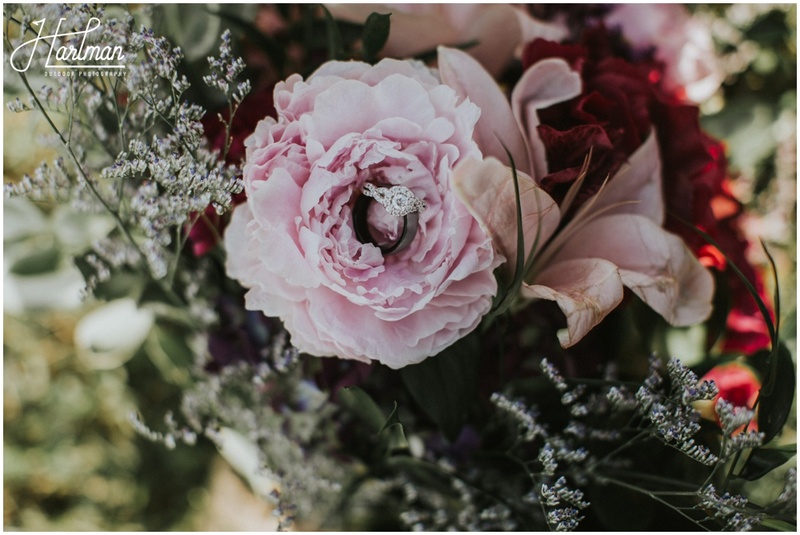 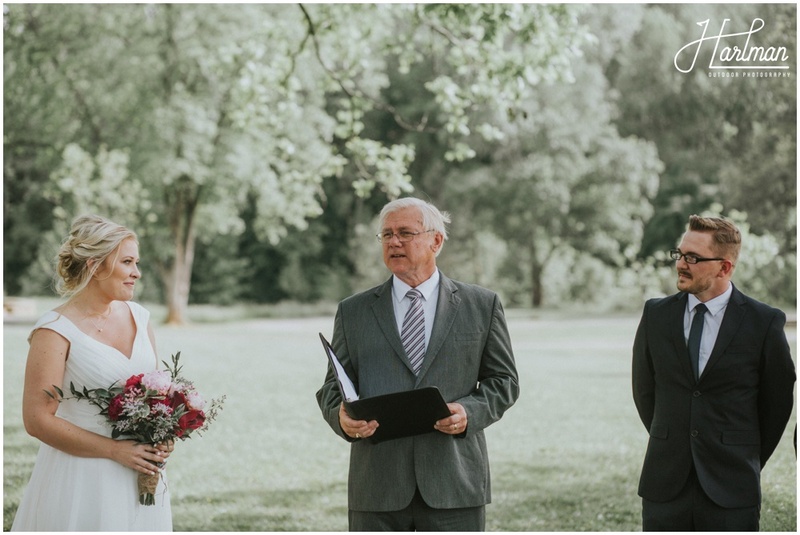 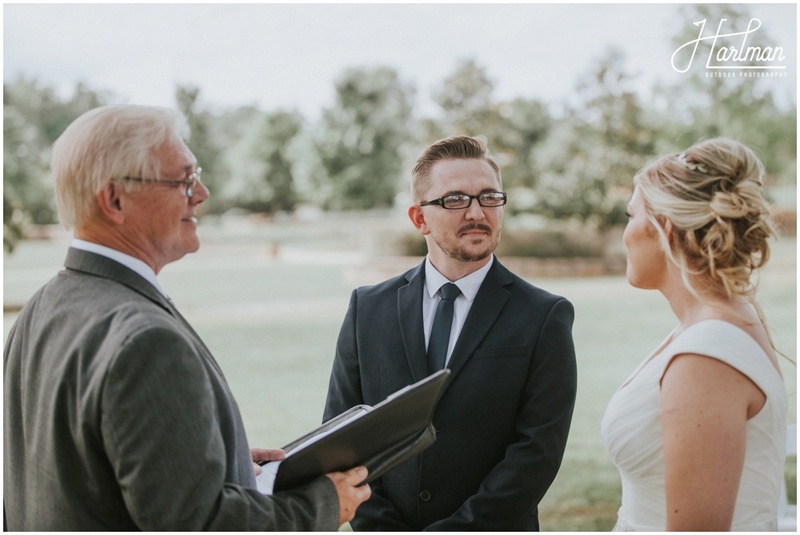 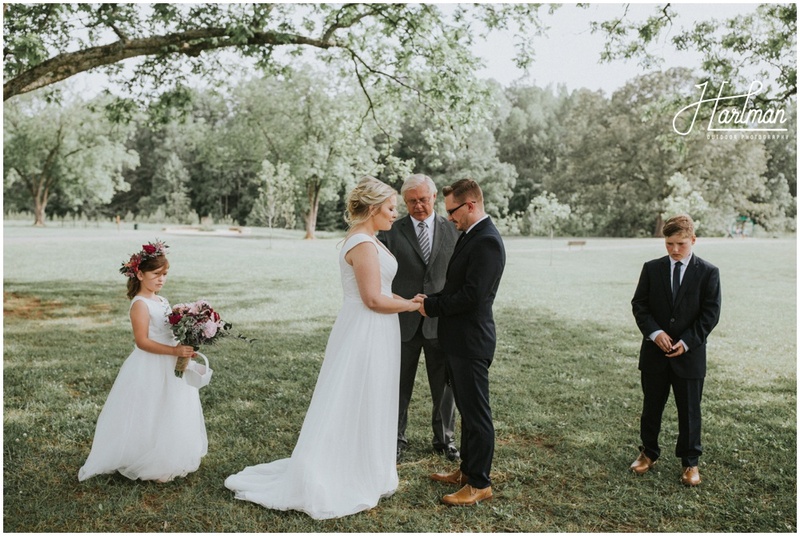 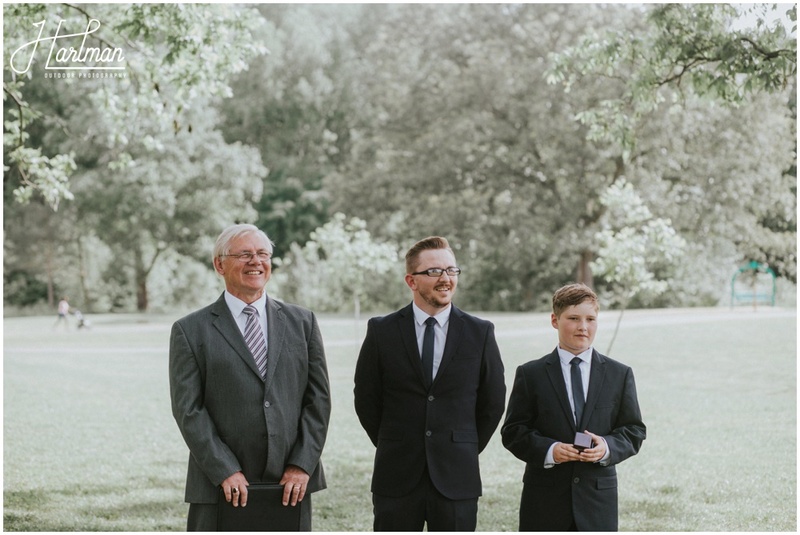 After getting ready in their apartment and driving to their beautiful outdoor venue, Amber and Johnnie picked a ceremony site based on our recommendation. 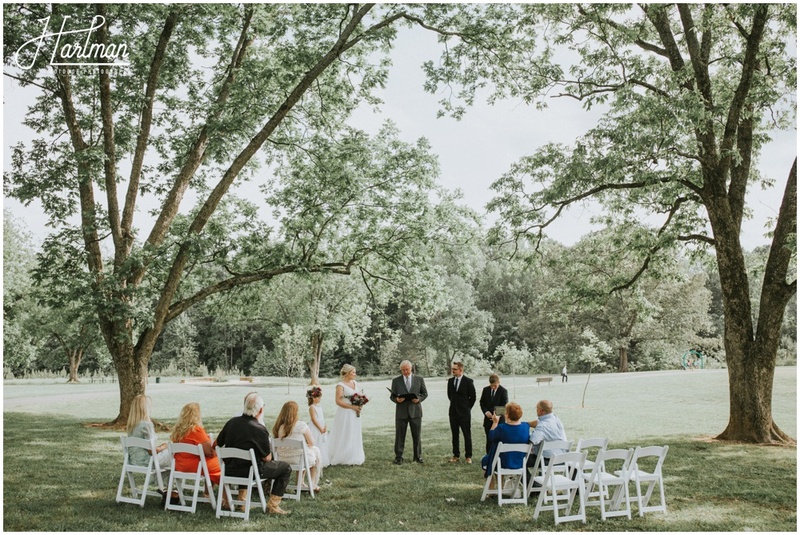 They were wed under a beautiful grove of pecan trees. 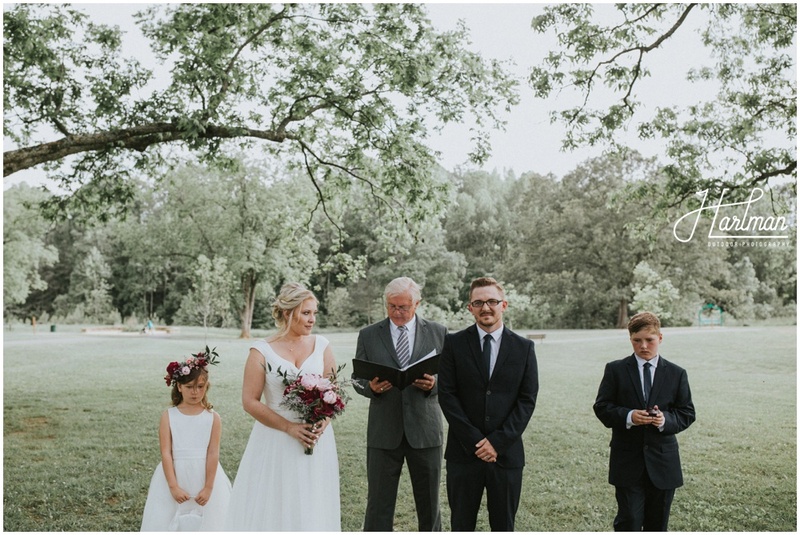 There were only eleven guests at the ceremony including themselves, and I don’t think a single eye was dry. 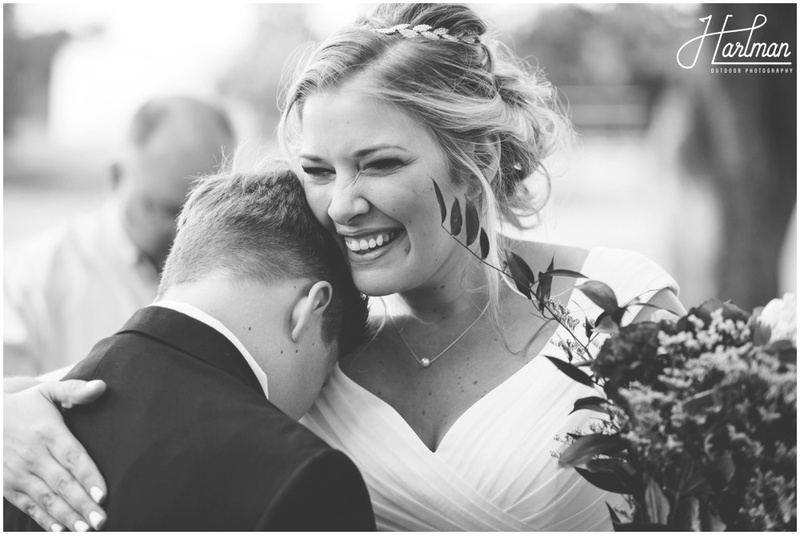 Those sweet happy tears are the best. 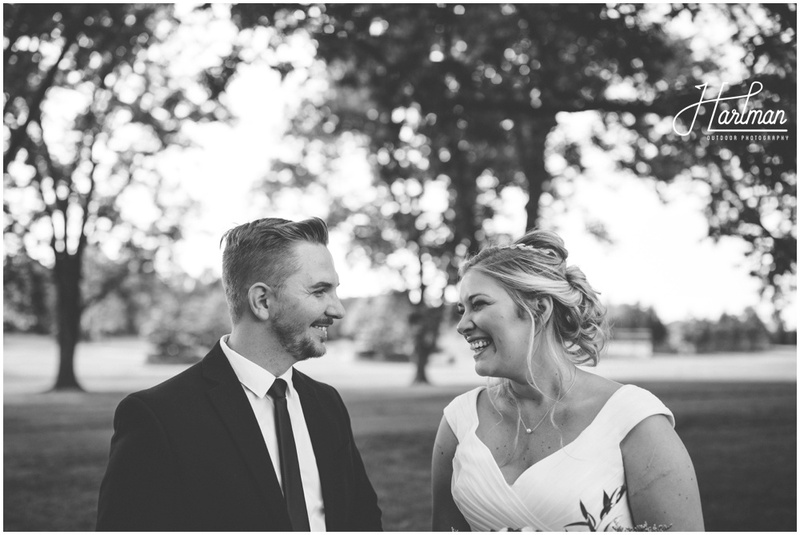 After saying I do, Amber and Johnnie mingled with their guests for a bit before heading off for some portraits with us. 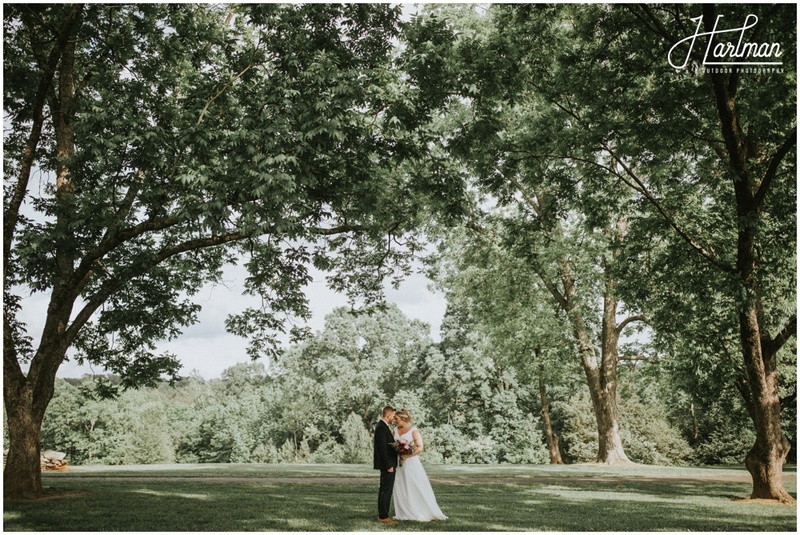 The scenery did most of the work for us, to be honest. 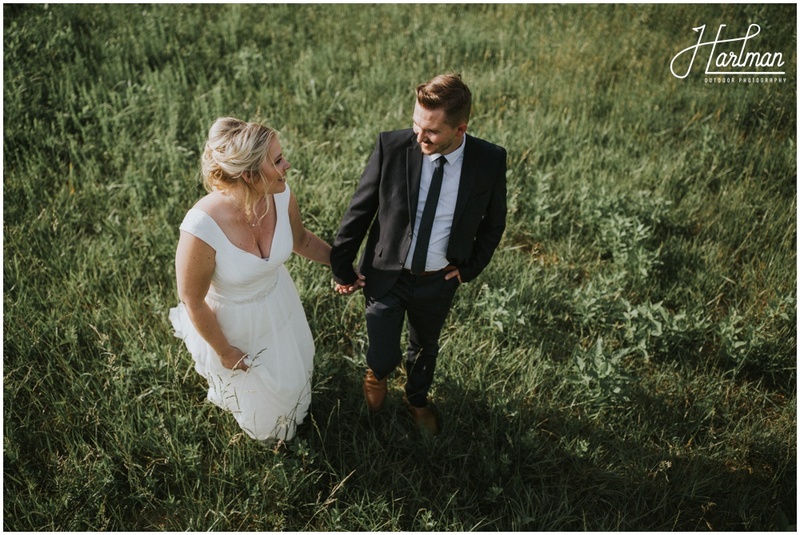 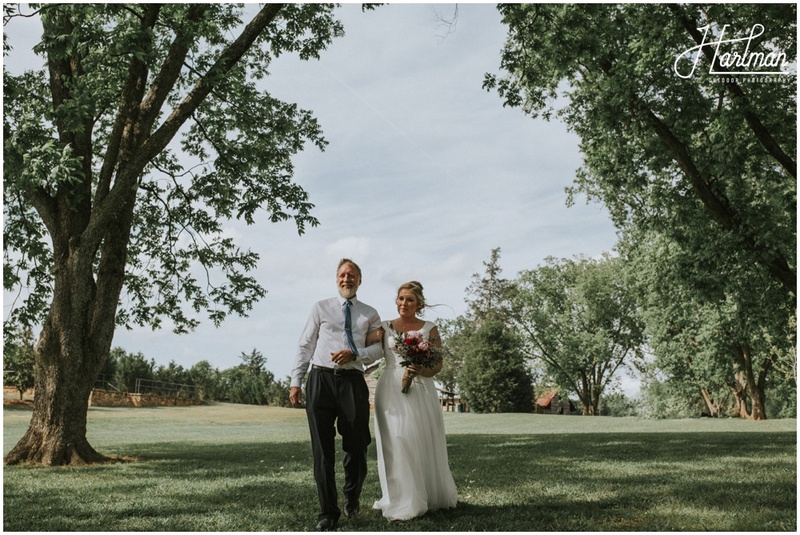 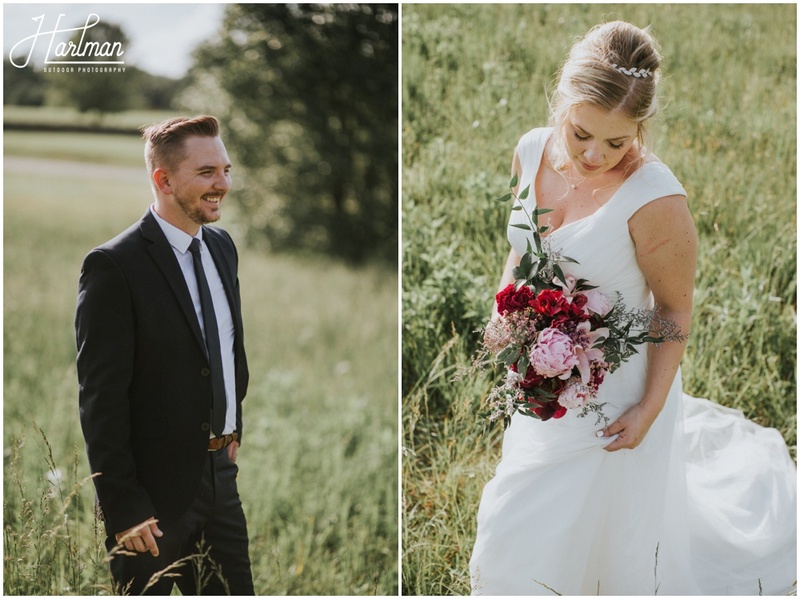 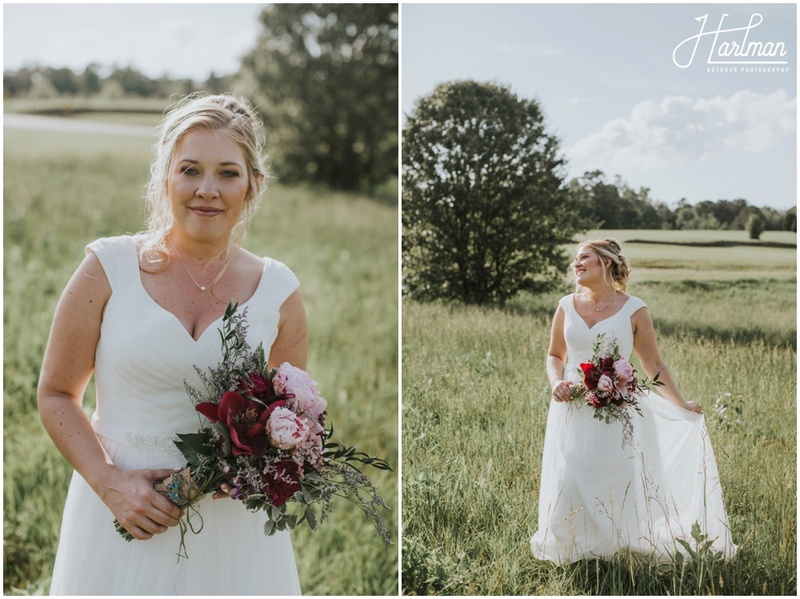 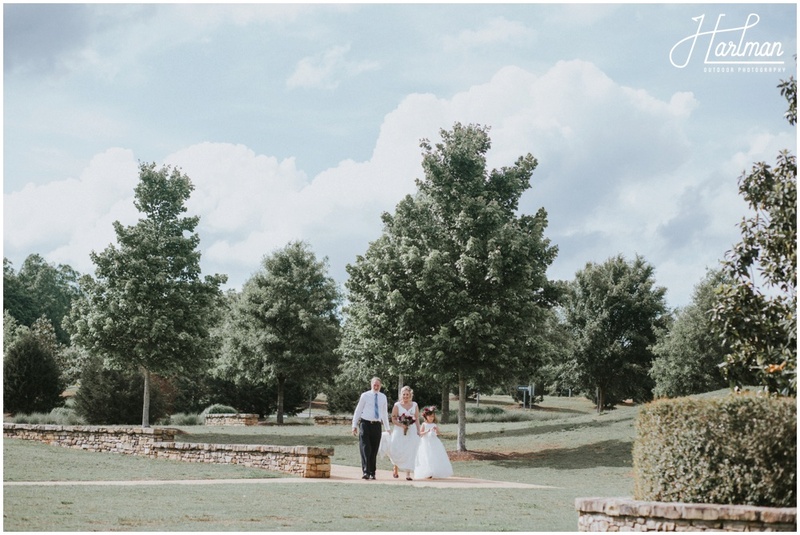 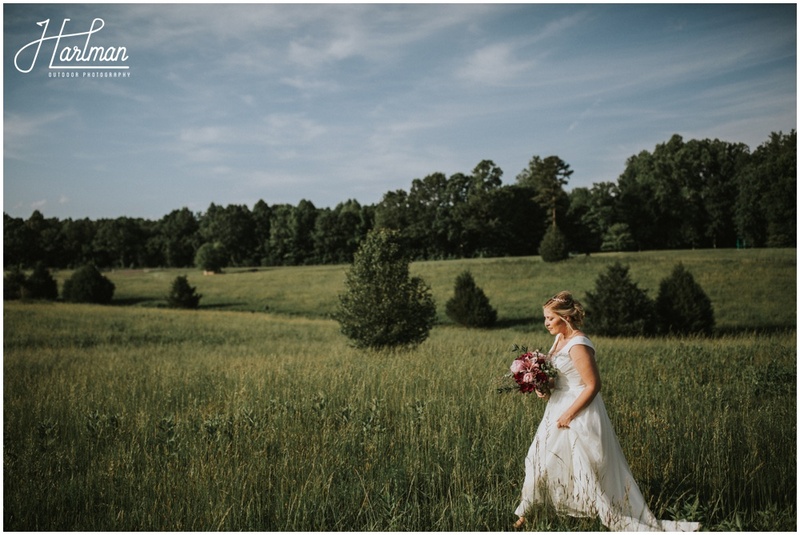 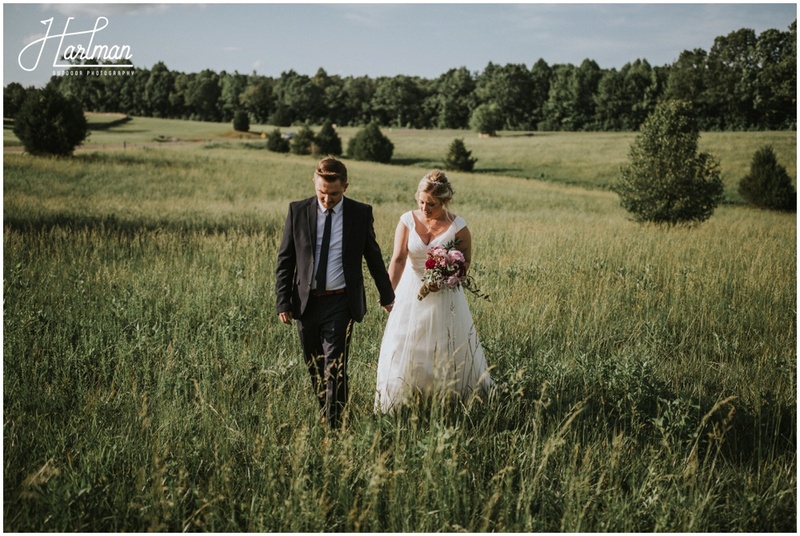 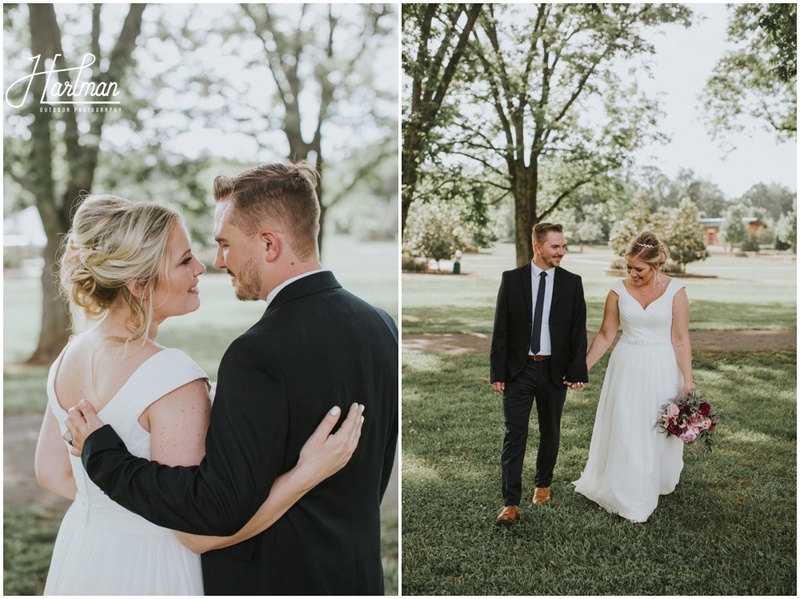 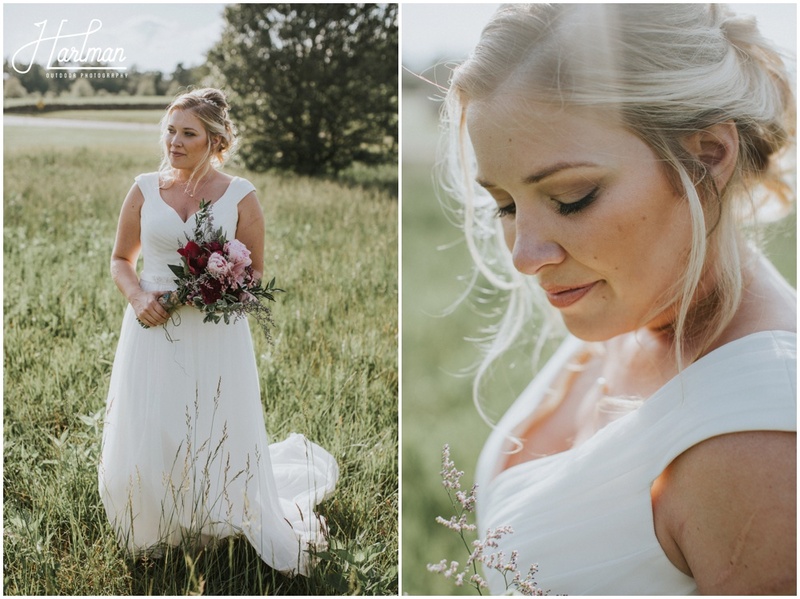 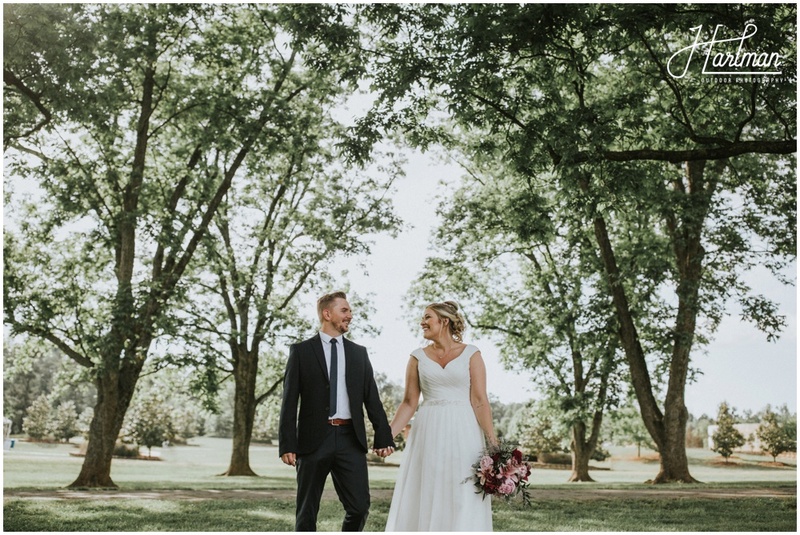 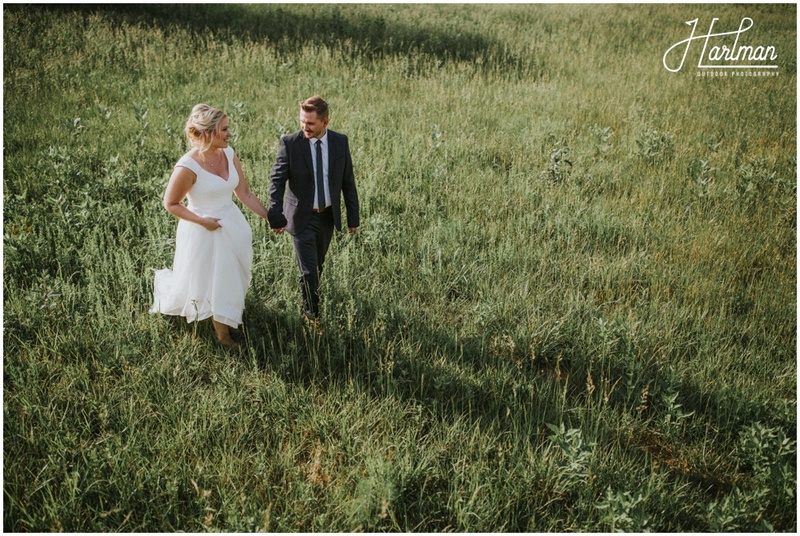 The pecan trees and wispy green field made for some great spots to walk around and enjoy these first moments as husband and wife. 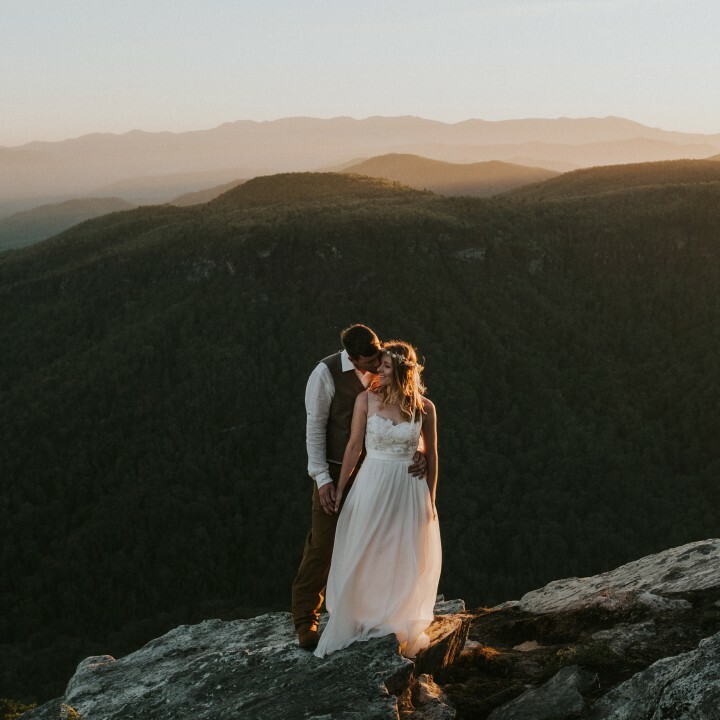 And that North Carolina sunshine was just perfect. 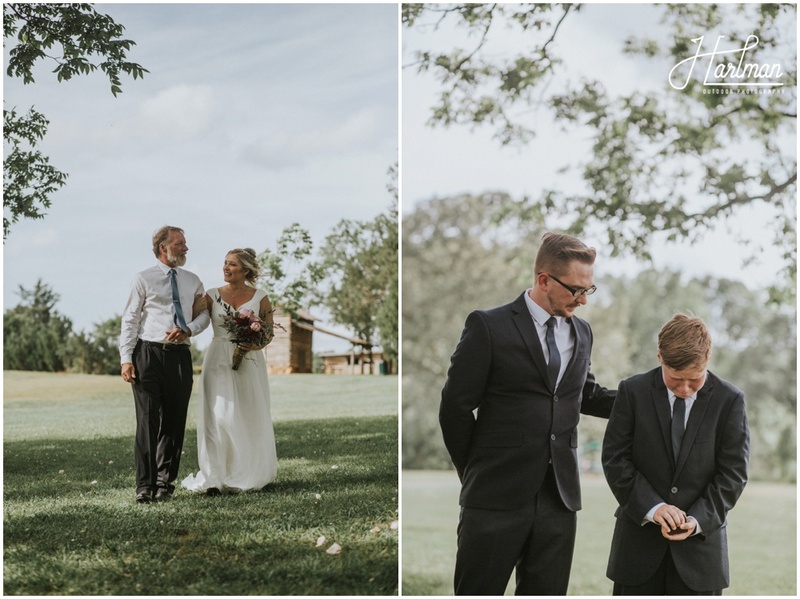 We are so happy for these two and are honored to have made their very small guest list.